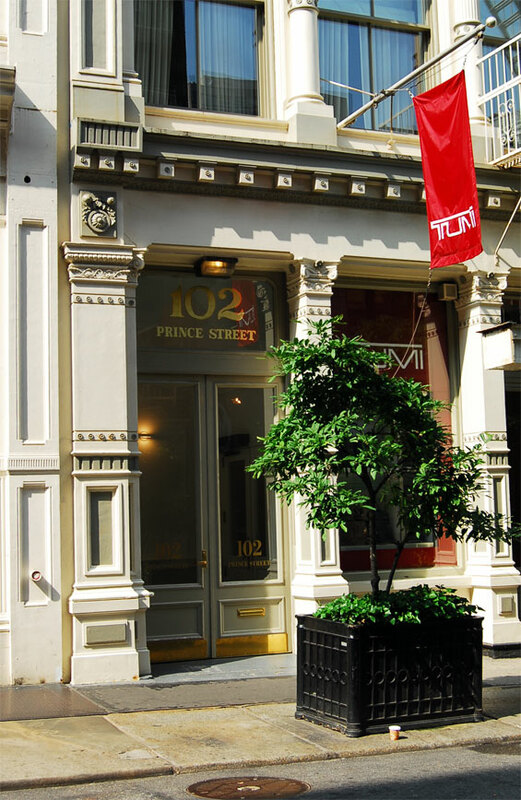 Address: 102 Prince Street, Manhattan. 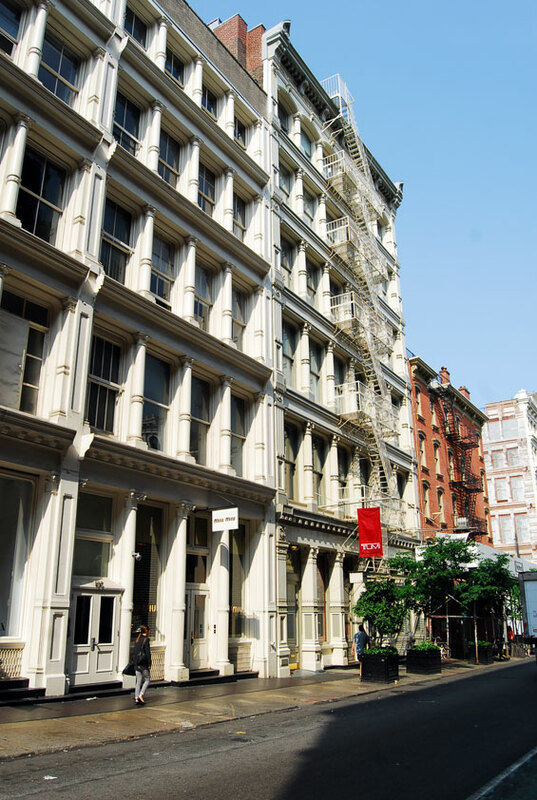 The apartment building is situated in the heart of SoHo, btw Mercer and Greene Streets. Sam Wheat, a banker, and Molly Jensen, a talented potter, are a loving couple, who recently moved into an open-planned loft in SoHo, New York City. 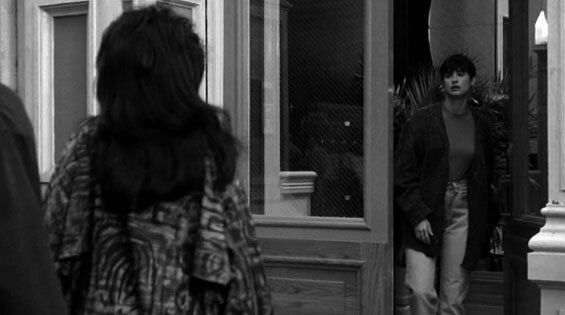 The high-rise at 102 Prince Street is spacious with wood flooring and high ceilings and had instantly suited the couples needs, although at the time of moving in, they were unaware of the low life muggers and criminals operating in the area after dark, but considered themselves lucky to have found such an elegant place to live. otsoNY Comments: The high-rise was used for interior and exterior use and is still there for fans to see. This Condo is located at 102 Prince Street, New York City and has an average list price of $3,599,660. 102 Prince St has 2 bedrooms, 3½ bathrooms, approximately 4,580 square feet, and was built in 1900. 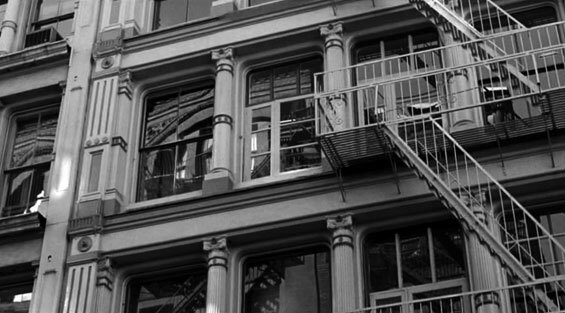 SoHo is a neighbourhood in Manhattan in New York City in the United States. In the early 19th century, it was an area of some farms, rolling hills, streams and even a swamp at its southern end, with Federal and Greek-Revival style housing. By mid-19th century these were replaced by more solid structures of masonry and cast iron. It was a lively theatre and shopping district, and even home to many brothels. Eventually, as the centre of the growing city continued to move uptown, the quality of the area declined, until it became known as Hell's Hundred Acres, an industrial wasteland, full of sweatshops and small factories in the daytime, but empty at night. In the mid-20th century, artists began to move in to have large spaces in which they could both live and work, in what were called loft spaces. In 1968 artists and activists were forming an organisation to legalise their living in a manufacturing zone. Seeking to identify their group geographically, they consulted a city Planning Commission map that described the area as South of Houston, Houston being Houston Street. This was shortened to SoHo when the group voted to call itself the SoHo Artists Association, and the name for the neighbourhood stuck. 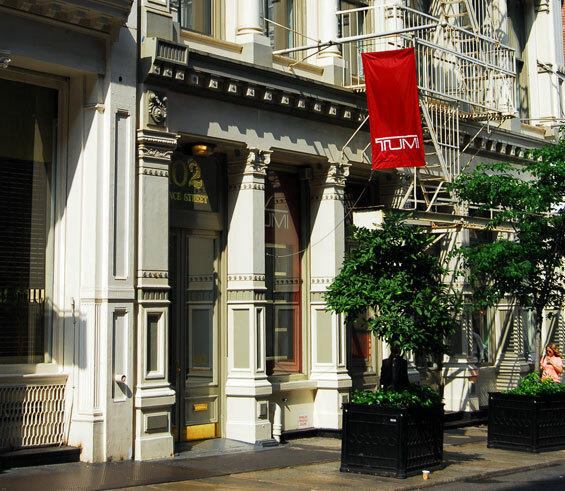 The name SoHo is the model for other new neighbourhood acronyms in New York City, such as NoHo, for NOrth of HOuston Street, TriBeCa (TRIangle BElow CAnal Street), Nolita (NOrth of Little ITAly), and DUMBO (Down Under the Manhattan Bridge Overpass). The neighbourhood's association with the arts has expanded over time, and the area has become a famous destination for shopping. It is an archetypal example of inner-city regeneration and gentrification, encompassing socio-economic, cultural, political and architectural developments. 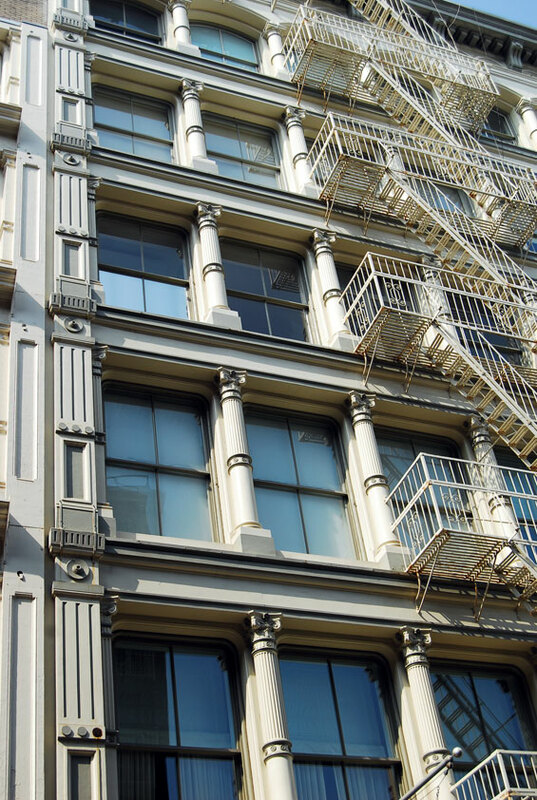 It is also known as the SoHo-Cast Iron Historic District because of the many buildings incorporating cast iron architectural elements.